After digging deep into China’s past – from the ancient tradition of footbinding to the prehistoric creatures that roamed the Chinese mainland – we’re shifting our focus to the future. As you may remember, in our April 2018 cover story New Money: Is China Ready for a Cashless Age? we briefly dove into China’s bitcoin boom and the changes that followed with the government clampdown on bitcoin trading and mining. 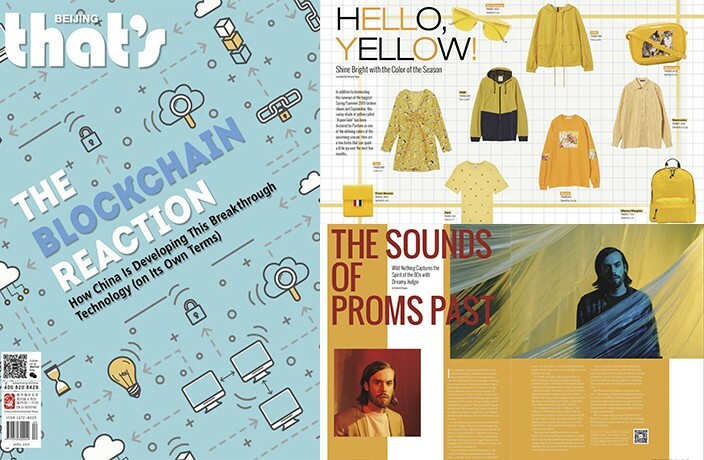 This month, That’s Shanghai editor-in-chief Dominic Ngai and national arts editor Sarah Forman look into the underlying industry: blockchain technology. If you’re confused about what that is exactly, don’t worry. You’re not alone. Simply put, it’s a digital ledger that tracks and stores original data in a way that eliminates counterfeiting – ideal for the untrusted environment of the developing cryptocurrency industry. With the current climate for these digital exchange services in China remaining complicated, to say the least, the question is: What does China plan to use all of this blockchain technology for, if not for the cryptocurrency trade? Read more about China’s blockchain fascinationand the complex technology’s potential to transform industries beyond financial institutions right here. And Mina Yan visits Tease by CreatureS, a new concept from a Singaporean eatery, to try out their fusion soul food.